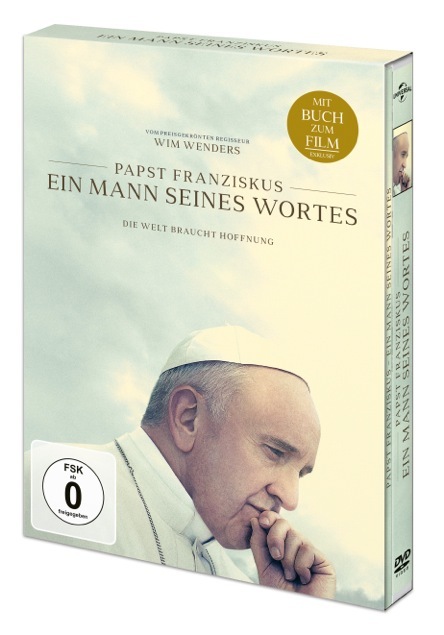 Pope Francis – A MAN OF HIS WORD, directed by Wim Wenders, is a historic nonfiction film intended to be a personal journey with Pope Francis, rather than a biographical documentary about him. The pope’s ideas and his message are central to this documentary, which sets out to present his work of reform and his answers to today’s global questions from his deep concern for the poor, his involvement in environmental issues and social justice, and his call for peace in areas of conflict and between world religions. In an era of deep distrust of politicians and people in power, when lies and corruption and alternative facts are the order of the day, A Man of His Word shows us a person who lives what he preaches and who has gained the trust of people of all faith traditions and cultures across the world. The DVD and BluRay will be available with a booklet containing the text and a selection of images from the film.